"Larry The Cable Guy’s hillbilly tow truck Mater must have sold a lot of toys and played like gangbusters for focus-group respondents, because Cars 2 makes the vehicular redneck its proud centerpiece. " I think I've said this before, in a comment on the blue, but...I think the film is fine as far as it goes, just mistitled, which set the expectations too high. 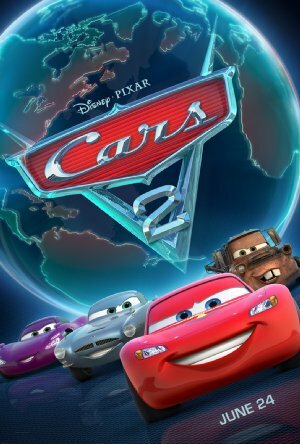 It's not Cars 2. It's Mater: The Spy Who Lubed Me.